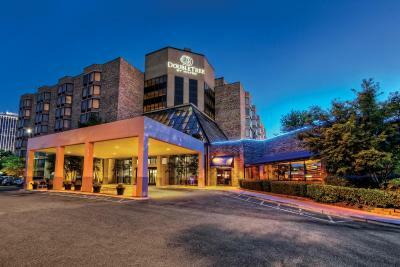 Lock in a great price for DoubleTree by Hilton Memphis – rated 8.4 by recent guests! I did not have breakfast there. Visiting my daughter whom lives in Memphis and we were trying to spend as much time together as possible. Loved the setting and location was perfect! So nice to be close to the Whole Foods and other attractions. It was okay but the restroom, windows and one of the beds was not clean. The staff was extremely pleasant and informative. Housekeeping was attentive and nice. Location was good and drive to arena downtown was very easy. Parking was okay. Staff were fantastic and the beds were tremendous. Loved everything. 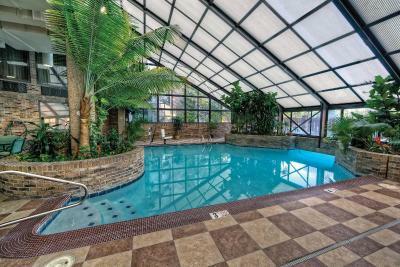 The pool was great, breakfast was the best at any hotel even though you had to pay for it. The shops and resturants around and right down the street were great. LOVED the comfort of the bed! I’ll be buying one of those mattresses in the near future! Linens and bed was very relaxing- I appreciated the cleanliness of the room. 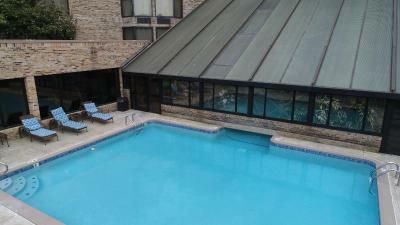 It was in a upscale location in Memphis very clean and comfortable, it was by a lot of near by shops and restaurants. The staff were wonderful. They were professional and very pleasant. 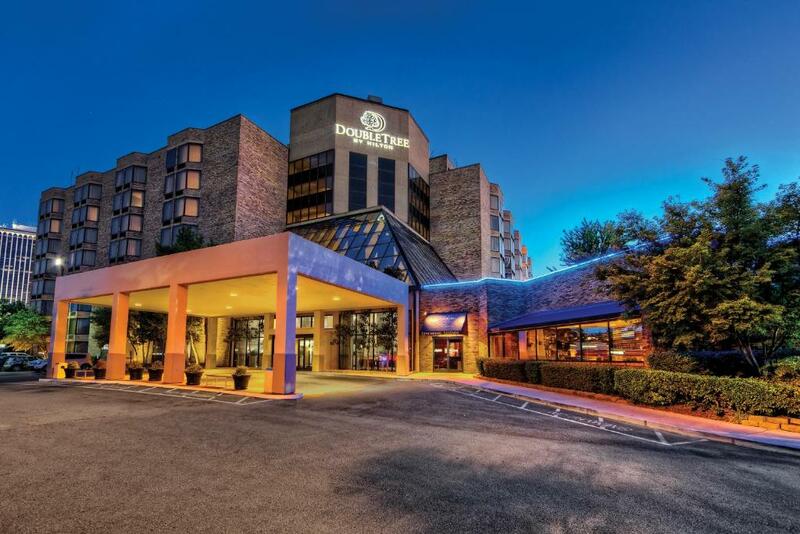 DoubleTree by Hilton Memphis This rating is a reflection of how the property compares to the industry standard when it comes to price, facilities and services available. It's based on a self-evaluation by the property. Use this rating to help choose your stay! Doubletree Hotel Memphis is just a short drive from attractions such as Graceland, The National Civil Rights Museum and the Memphis Zoo. Guests can explore historic Beale Street or go shopping at Oak Court Mall. The guestrooms at the Memphis Doubletree Hotel feature refrigerators and free high-speed internet access. 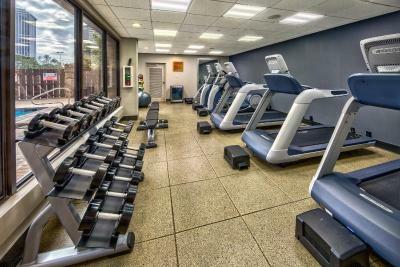 After going for a swim in the indoor pool or working out in the fitness center, guests can be productive in the business center. Cal's Championship Steakhouse, located on-site, is open for breakfast, lunch and dinner, and offers room service. When would you like to stay at DoubleTree by Hilton Memphis? This room has a refrigerator and tea- and coffee-making facilities. This room is furnished with 2 double beds. Guests staying on the Executive Floor will enjoy access to the Concierge Lounge, which offers a deluxe continental breakfast every morning and hors d'oeuvres and cash bar in the evening Monday through Thursday. This room features a refrigerator and tea- and coffee-making facilities. 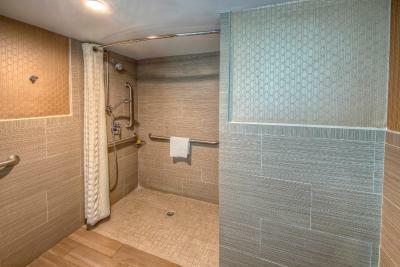 This room features a refrigerator, tea- and coffee-making facilities, and access to executive floor amenities. This triple room has a cable TV and air conditioning. House Rules DoubleTree by Hilton Memphis takes special requests – add in the next step! DoubleTree by Hilton Memphis accepts these cards and reserves the right to temporarily hold an amount prior to arrival. The staff were very friendly and responsive. Check in was very poor, receptionist was unhelpful and didn't give me any information and gave me one word answers to my questions. Put a dampener on my whole stay. Location was ideal, room was clean and comfortable. the cocktail hour in the lounge was great...two for one! Indoor pool was nasty. The space over reception area was dirty and unsightly and thy only gave minimum amount of towels. Often no fresh coffee in reception area all day especially in morning because only 1 carafe for regular. Receptionist people only spoke when spoken to, have stayed at many Hampton Inns and allways cheerful Hello's from receptionist upon entering. Cookies in a bag from under counter in a drawer isn't my idea of special or amazing. Bar service nothing great. They didn’t inform us that the pool heater was broke. I booked s hotel with pool for my child and it was frigid. Super disappointed. We had executive room and the breakfast and all the hors d'oeuvres and nibbles throughout the day was fantastic, staff really lovely and everything Super clean. The air conditioner could use some service, the room was dusty and a dirty rag was in the bathroom when we arrived. We put out our sign on our door because we didn't know what time housekeeping came around. We left for the day around 0930, and and when we got back around 7pm our room was not tidied up. We needed fresh towels and the beds weren't made, so I know they hadn't been there. This may be their policy, that after a certain hour they don't do guest rooms that aren't leaving, I don't know, but it was a little disappointing. Very nice and friendly staff!